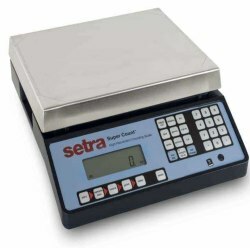 The Setra Super Count couples the benefits of the Setra high resolution ceramic sensor with an intelligently designed, full-function keyboard to deliver a high accuracy, easy-to-use counting scale at a moderate price point. High Accuracy & Resolution. (3) RS232 Communication Ports. Versatile full-function keyboard. The versatile Full-function Keyboard of the Setra Super Count scale allows keyboard entry of the average piece weight (APW), tare weight, and ID. Other functions such as weight/count accumulation, selectable update speed, and multiple units of measure add to the flexibility of the scale. 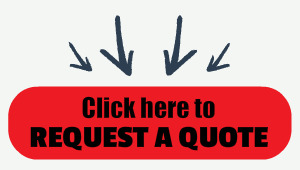 The Internal Database allows storage of APWs and tare weights or the accumulated count for up to 256 part numbers. Accuracy monitor enables the supervisor to select special settings that check the sampling process and, if necessary, cause the scale to prompt the operator if the number of pieces used in the sample is too small. Programmable RS-232 output with ScriptCoder™ allows up to 10 custom label designs with barcodes to be printed on a thermal label printer.